Your acceptance and use of the Crutchfield Gift Card constitutes acceptance of these terms and conditions. This card is redeemable only at crutchfield.com, by calling 1-888-955-6000, or at a Crutchfield Store. This card cannot be transferred to any other party, cannot be redeemed for cash except where prohibited by law, and cannot be applied as payment to any prior purchase or payment plan. Crutchfield Corporation is not responsible for lost, stolen, or unauthorized use of this card. This card does not have an expiration date. The terms and conditions of this card are subject to change at any time without prior notice, and are issued in US funds by Crutchfield Corporation. Virginia law applies. 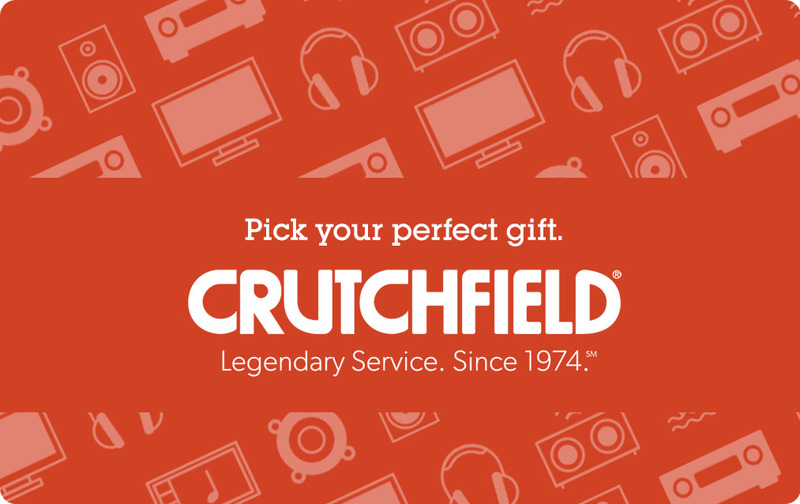 Note: Crutchfield Gift Cards do not count toward the minimum order value required for promotional offers.